Our nation's schools employ 3 million teachers and rely on 27,000 programs in 2,000 separate institutions for training those teachers. Since 2006, NCTQ has reviewed programs, made recommendations, and highlighted the best we've seen of key elements for undergraduate and graduate programs for elementary, secondary and special education. The NCTQ Teacher Prep Review evaluates the quality of programs that provide preservice preparation of teachers. The Review database includes both traditional and non-traditional programs. The Teacher Prep Review evaluates a total of 2,506 undergraduate and graduate elementary, secondary, and special education programs offered by education schools in 1,120 public and private institutions of higher education. The Teacher Prep Review also examines 129 alternate route programs and 18 residencies leading to elementary and secondary certification. 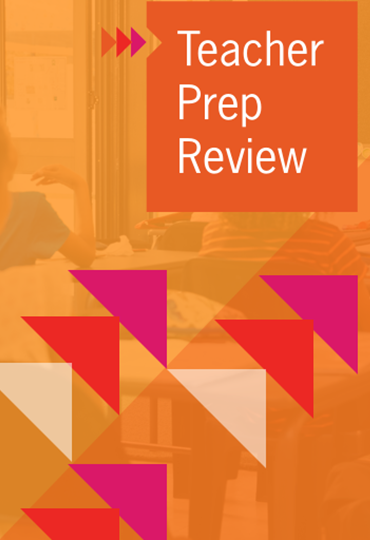 The university- and college-based preparation programs evaluated by Teacher Prep Review are responsible for producing 99 percent of traditionally prepared teachers. The approximately 240 institutions that produce fewer than 20 teachers annually (and together produce less than 1 percent of the nation's public school teacher candidates) are not included in the sample. The number of alternative route and residency programs included in the Review has almost doubled since non-traditional programs were first included in 2014. We continue to expanding our reach to include even more traditional and alternative certification programs. We rated America's graduate-level and alternative route teacher prep programs on how well they are preparing the next generation of teachers to succeed in the classroom. See the results in the 2018 Teacher Prep Review. We found the number of traditional graduate elementary programs teaching scientifically based reading methods has improved since 2014, going from 17% to 23%. Find out more about reading. There is widespread consensus among experts that elementary school teachers need specific math content knowledge to teach children. We found that only 1% of graduate teacher prep programs are teaching it. Showing top 10% of 2,506 ranked programs. Click the items below to show or hide a program. Check out the analysis of the latest review of teacher prep programs that includes ratings for 567 traditional graduate programs, 129 alternative route programs, and 18 residencies preparing both elementary and secondary teachers. Spoiler alert: besides one notable improvement, the ratings highlight the disconnect between the preparation teachers receive and the real demands of teaching.